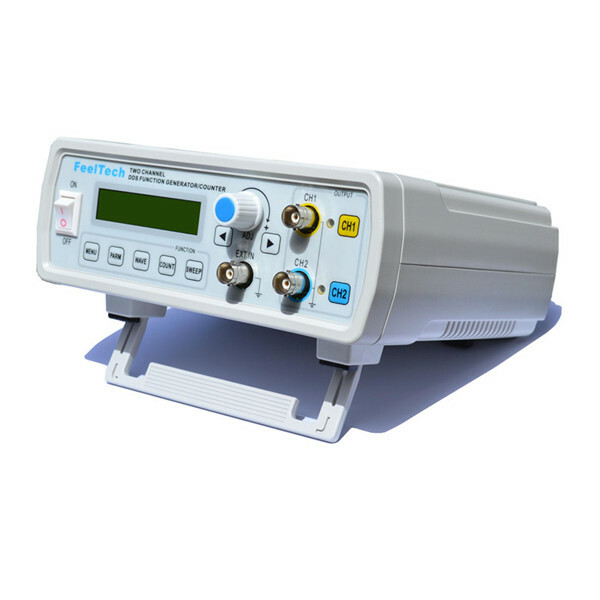 This instrument uses a large CMOS High speed integrated circuits, microprocessors, internal circuits using Active Crystal base, high signal stability. 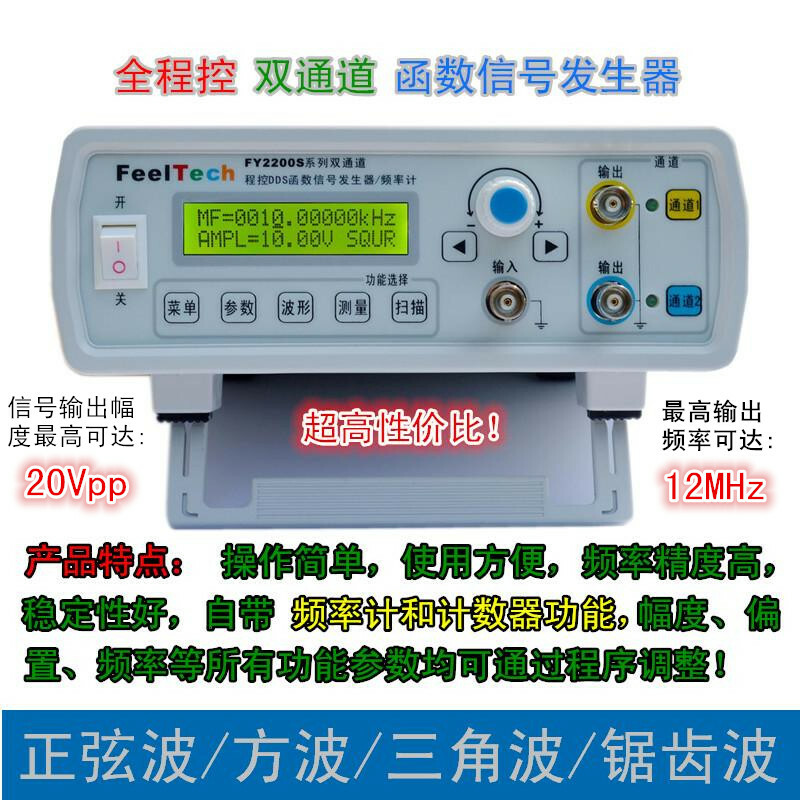 Surface mount technology greatly improves the immunity and longevity. 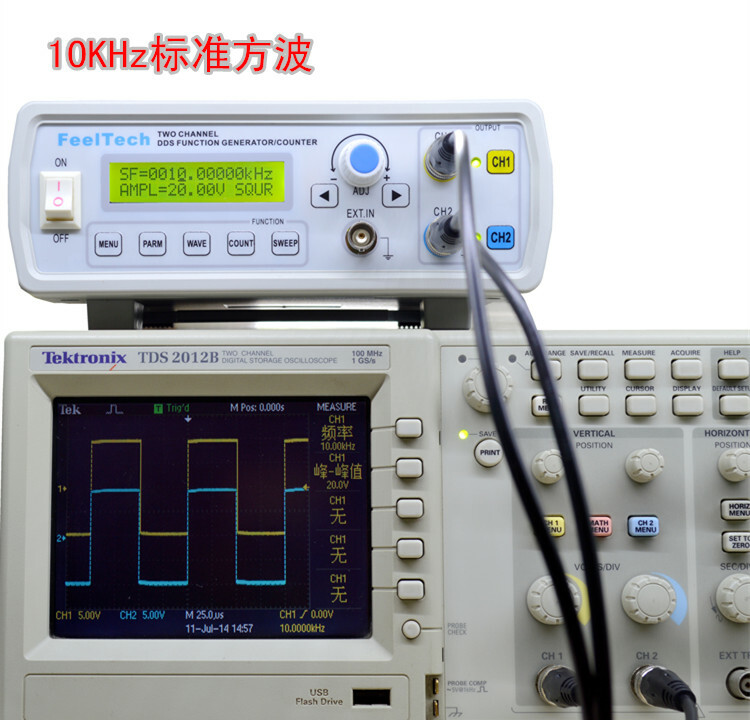 Instruments have the dual DDS signal outputs can generate sine wave, square wave, triangle wave, sawtooth wave, the output signal amplitude, offset, phase control can be achieved (the instrument can display the output signal's amplitude and phase, waveform, parameter information, make your operation more convenient) 。 Also has dual TTL output (tunable phase difference), the measured frequency and the counter function, the product also has a linear sweep, and logarithmic sweep function, can set arbitrary scan frequency range and scan time. 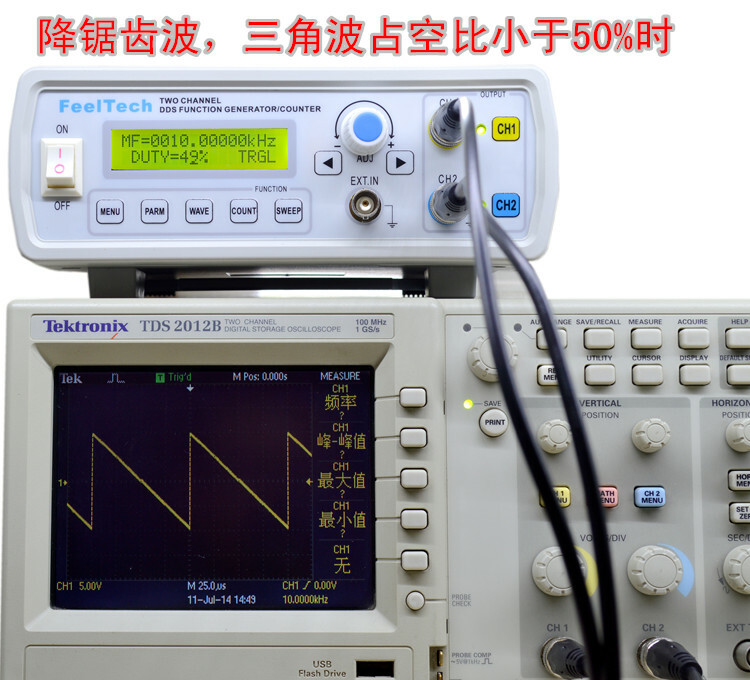 Are electronics engineers, laboratories, production line and the ideal equipment for teaching and research, but also can be used as industrial equipment supporting modules. 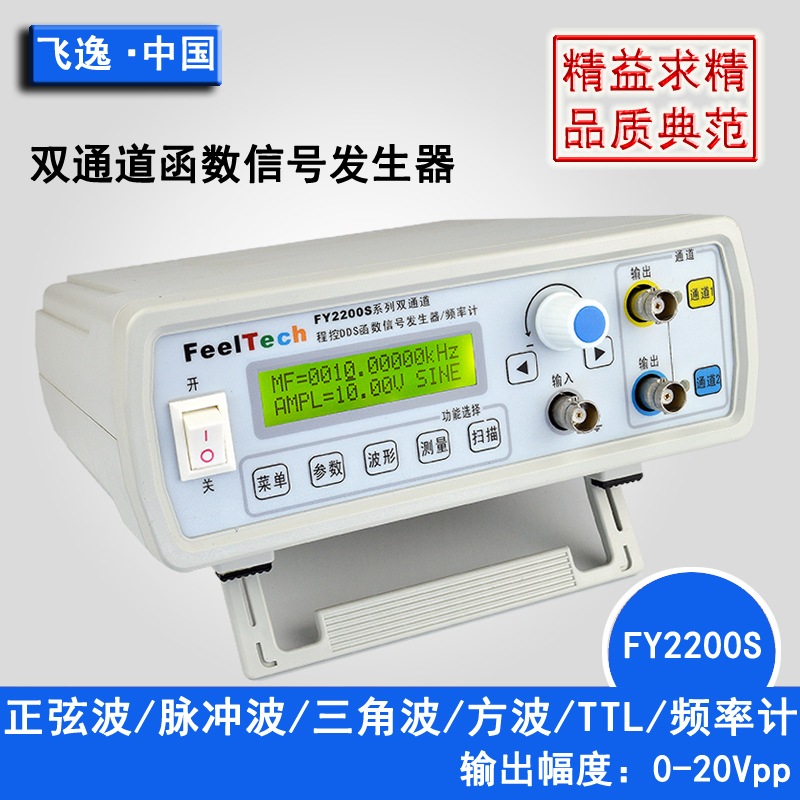 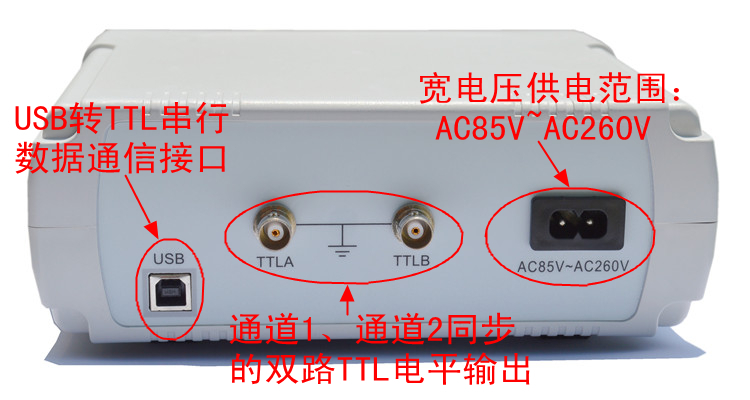 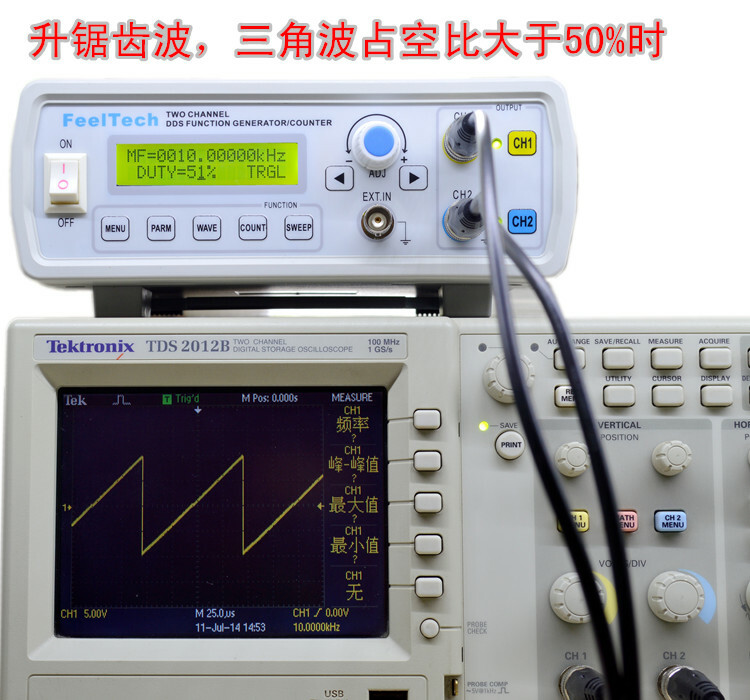 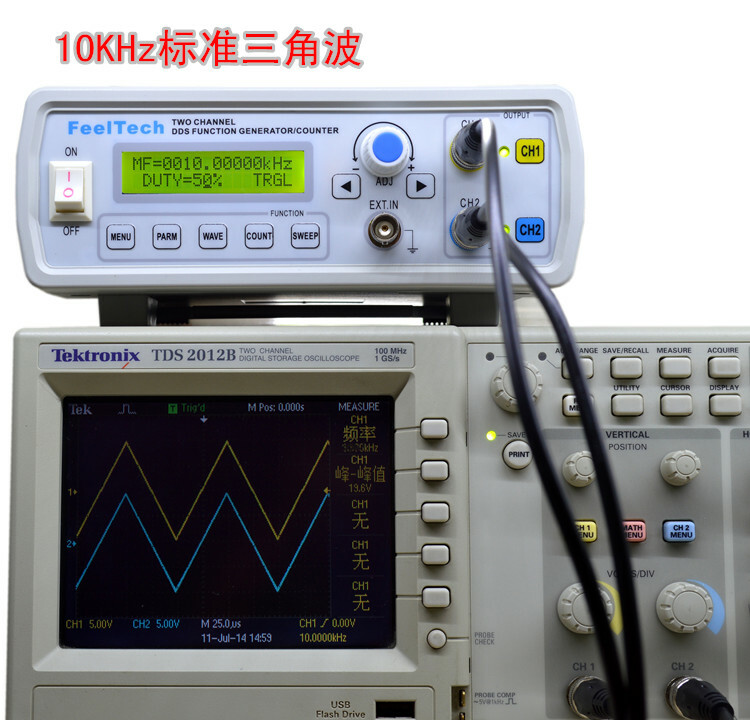 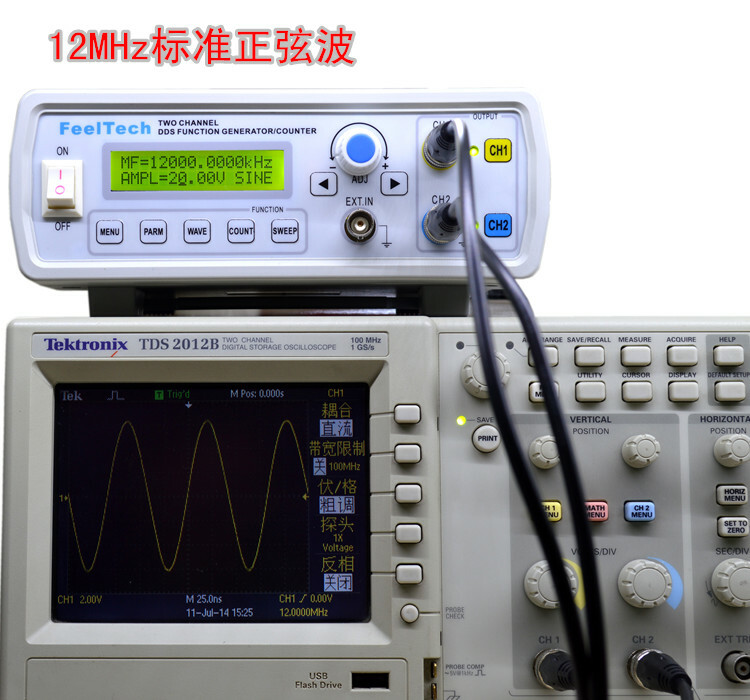 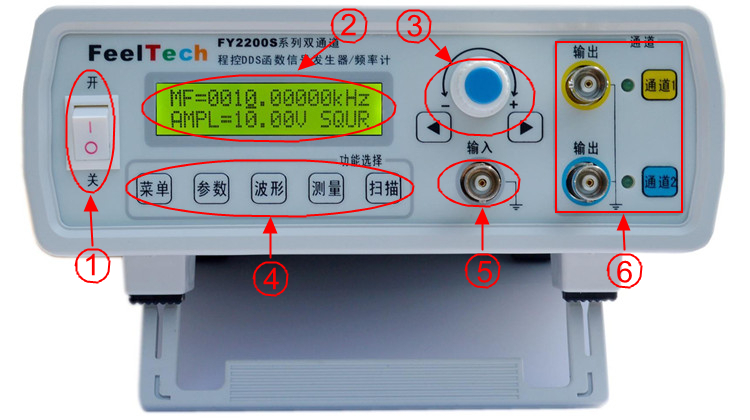 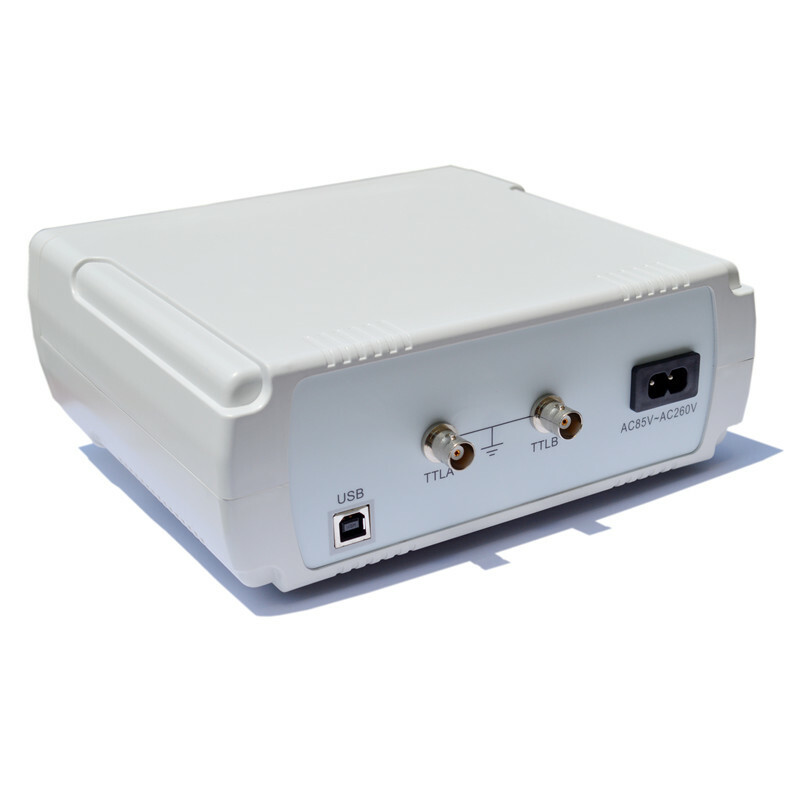 FY2200S Models in the last two digits 00 Value that represents the sine wave frequency limit of this type of instrument ( MHz )。 Example:FY2205S,05said this type of sine wave output frequency can be as high as 5MHz. 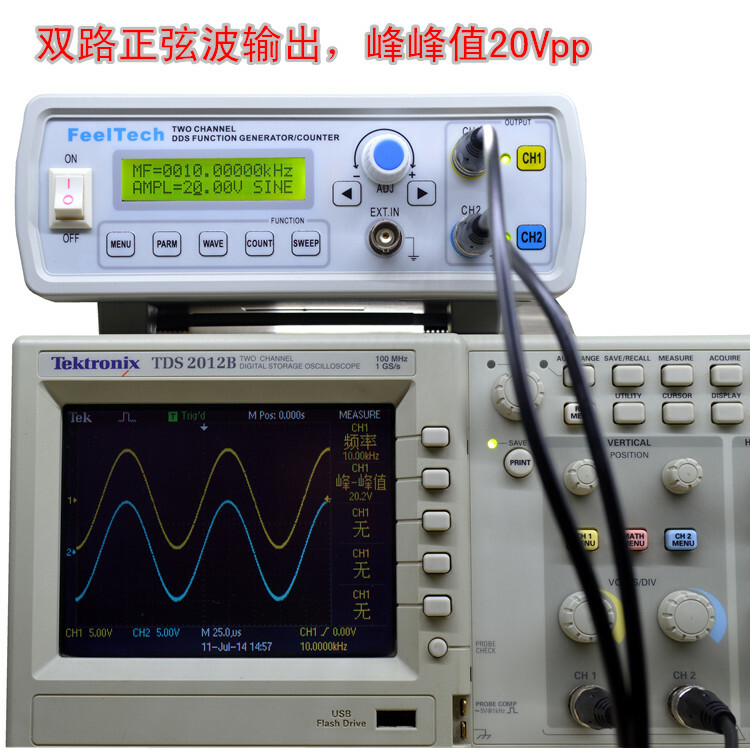 Main wave of two independent output channels. 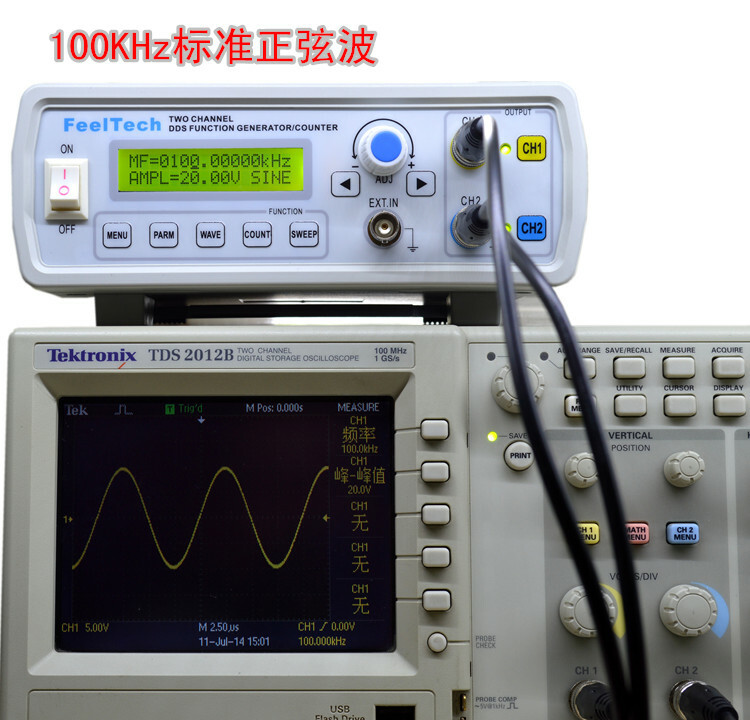 Sine wave, square wave (duty cycle adjustable), triangle wave, sawtooth wave.